I love spring. 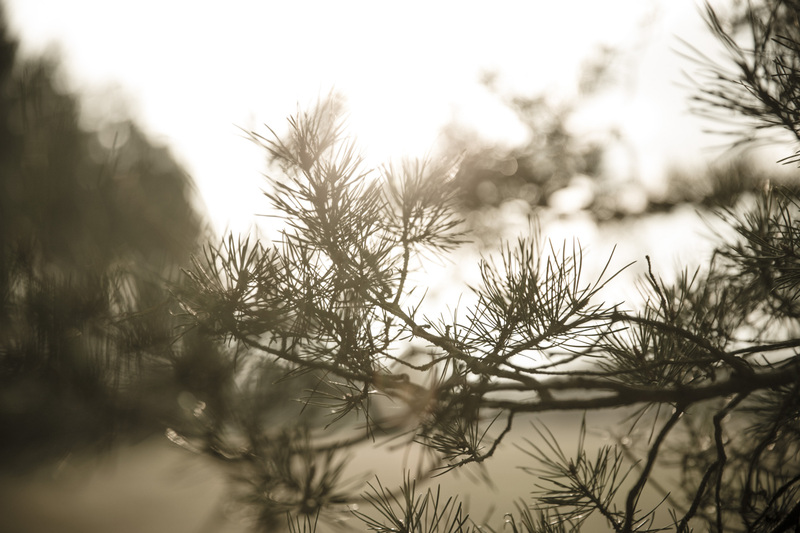 Nature wakes from her winter sleep and the first warm rays of sunlight bring the promise of warmer days. But you can’t celebrate too soon. The mild daytime temperatures often give way to bitter cold nights. 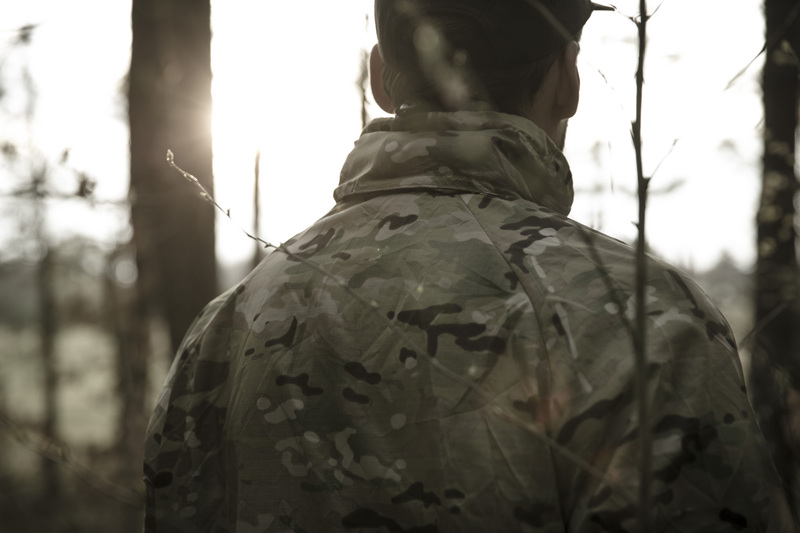 Plus the weather remains unpredictable, cold winds and sudden showers reminding us that winter is not quite over yet. And that’s why it’s so important to have the right clothing, clothing that protects you from wind and rain, but at the same time not too warm. 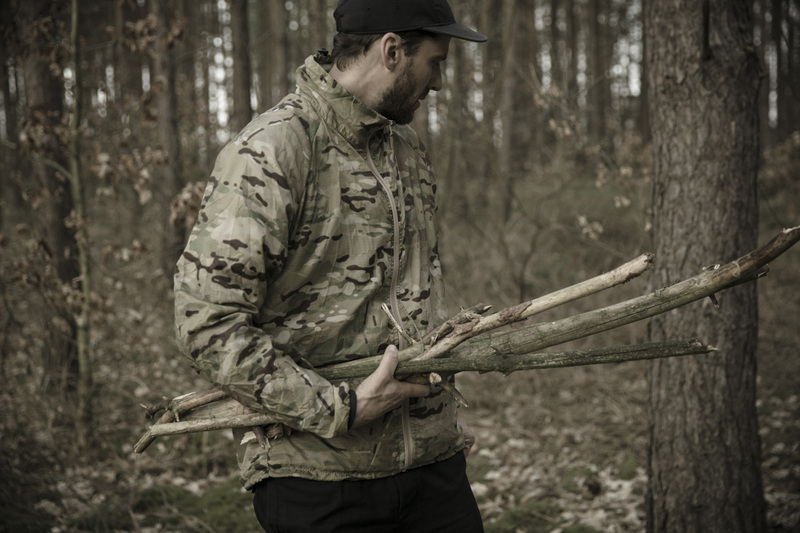 This is the ideal season for testing the jackets of the Vapour range from Snugpak, so on the weekend I took a small camping trip. Being April with maximums of only around 15°C, it might seem a bit early. Night time temperatures still hovered between 0°C and 5°C, making the temperature drop from day to night still quite extreme. Which is why I need the right clothing, to shield me against the changeable conditions. 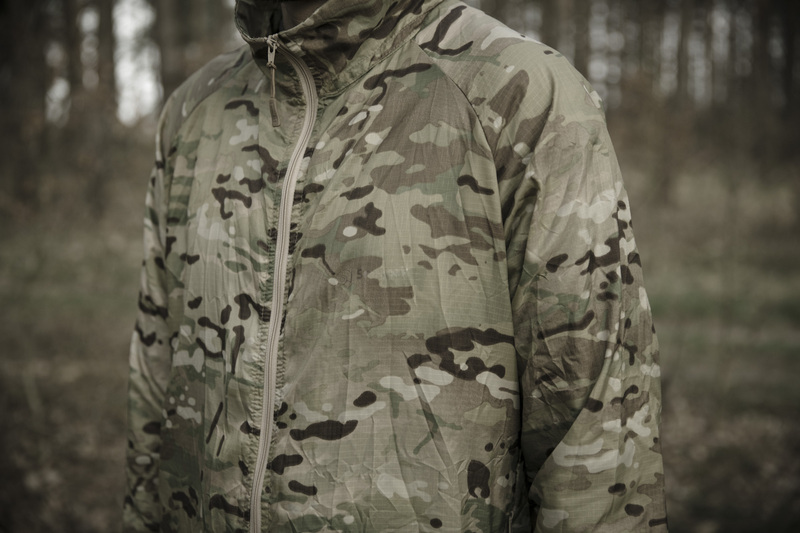 Let’s start with the Vapour Active Shell Jacket. 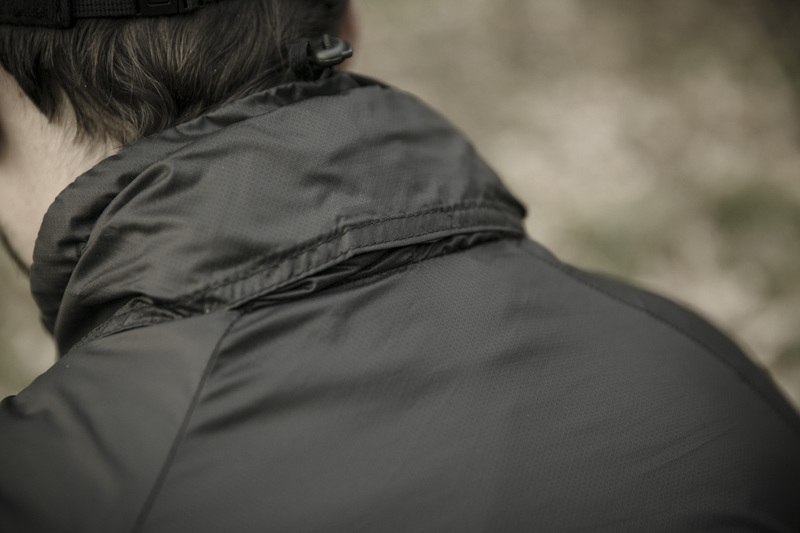 It’s a long name for a very light jacket that has much to offer. 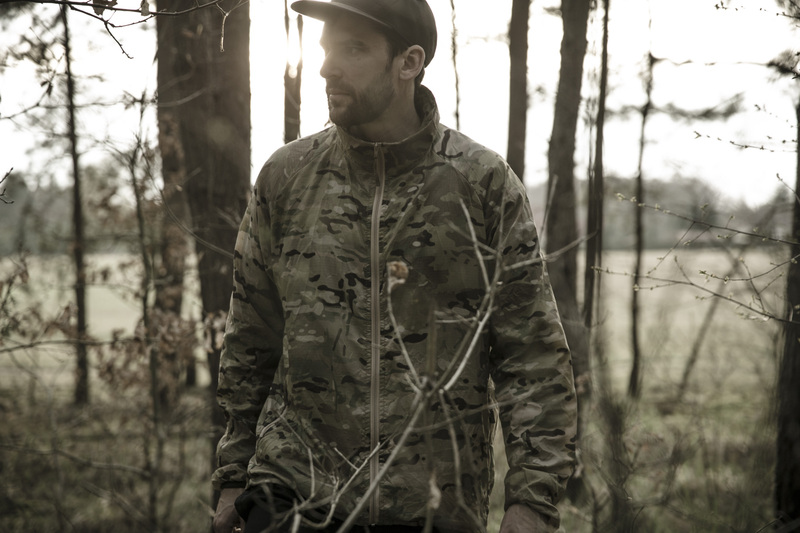 The name promises a high performance jacket and the Vapour Active Shell delivers. 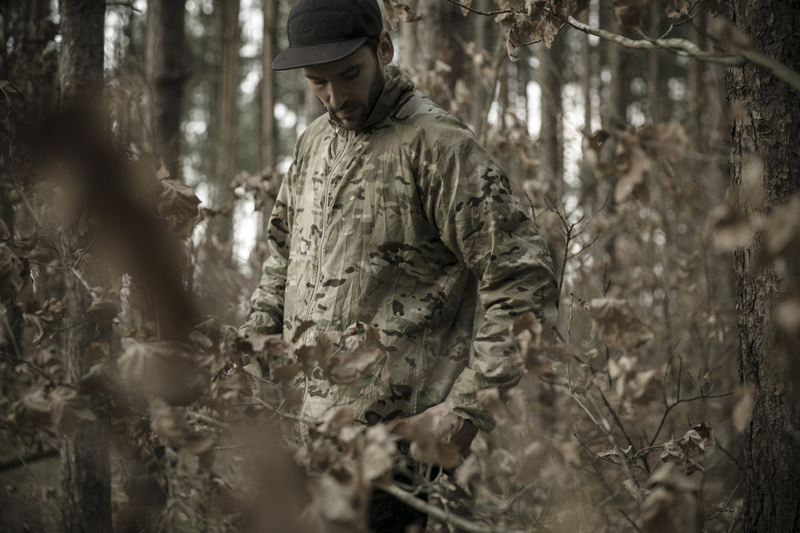 Weighing just 440 grams, the jacket is not only wind-proof thanks to its Paratex Micro Membrane, but also, together with TS1, Snugpak’s Thermal Suede lining, surprisingly warm. I was comfortable outside in 14°C temperatures with just the jacket over a sweater and a t-shirt. 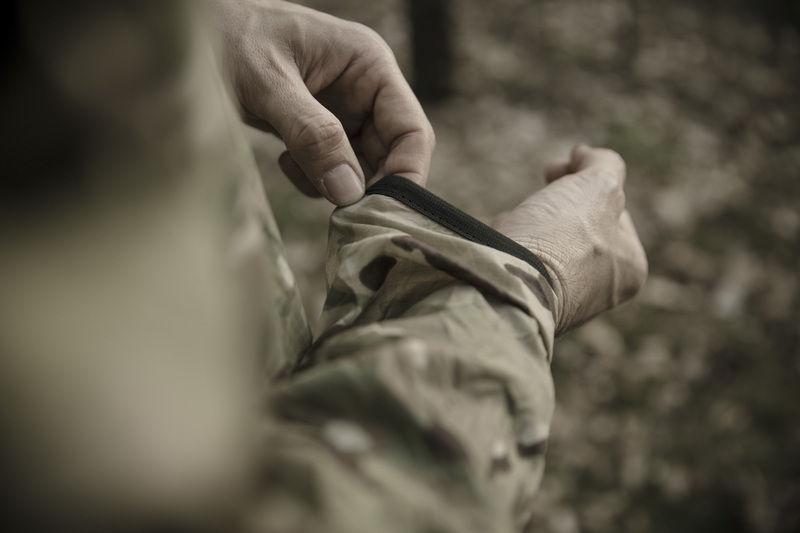 Plus, with the thin material, you don’t even feel like you’re wearing a jacket. 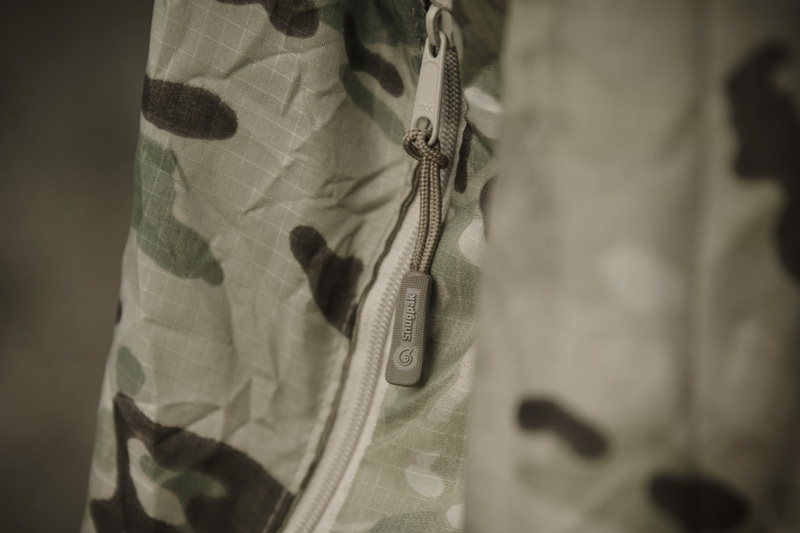 Additionally, the jacket has excellent moisture management properties curtesy of the fine hairs on the surface of the lining, and, finally, the outer layer of the jacket is also water-repellent, if you happen to be surprised by one of those sudden spring showers. 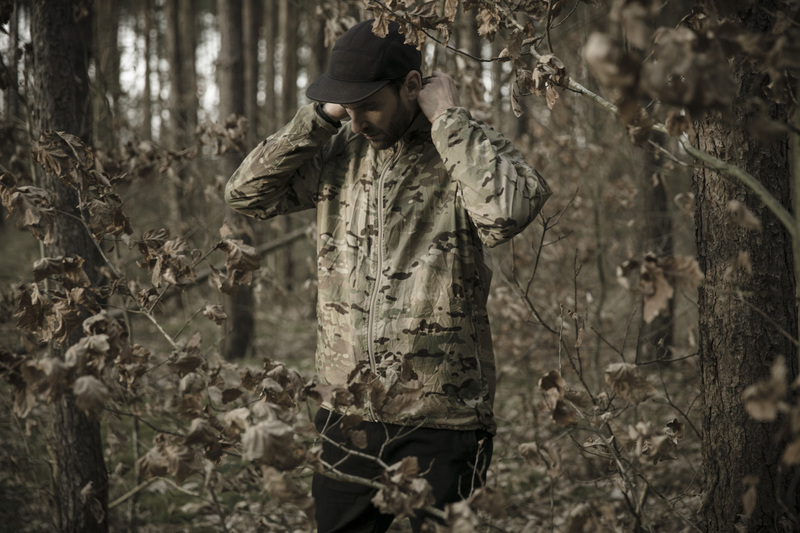 A rolled-up hood can be found in the collar and is easy to reach even wearing the jacket. 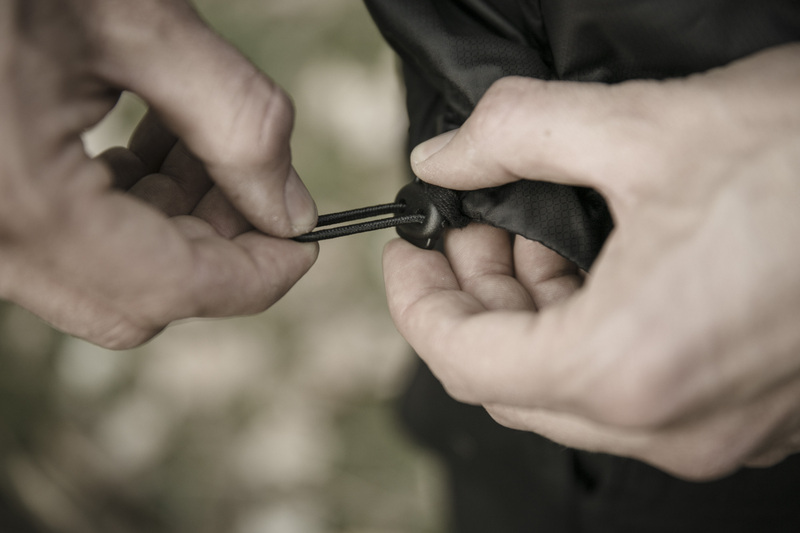 At waist level on both sides are cords for adjusting the fit of the jacket. 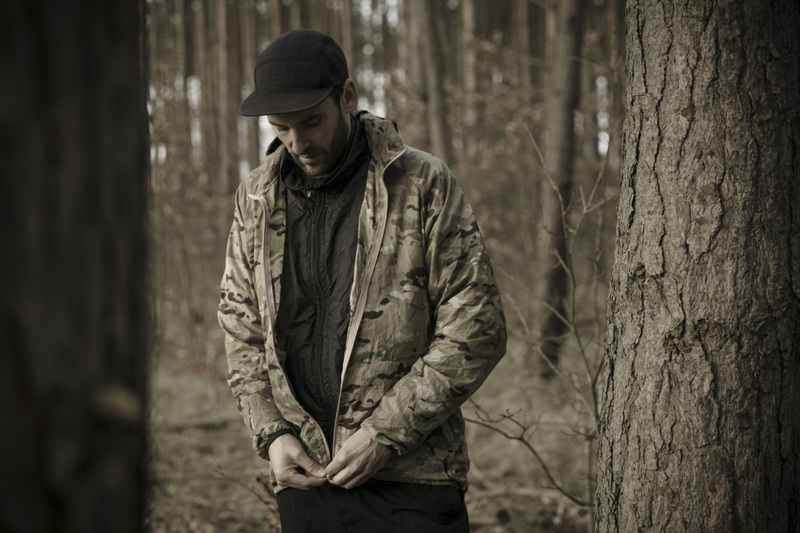 Also at waist level, two outer pockets offer plenty of room for gloves, hats or other thing. 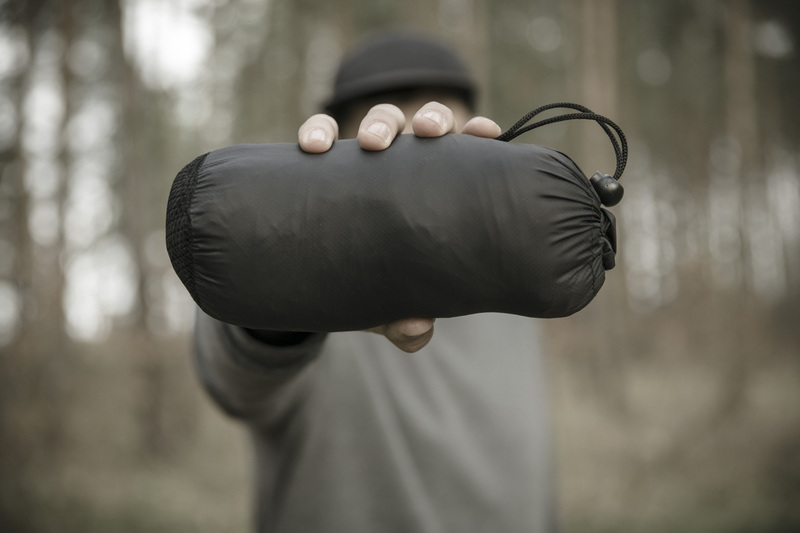 The jacket also comes with a stuff sack with a mesh bottom which allows you to compress the jacket down to 18 x 12 cm, making the Vapour perfect for slipping into your backpack as an extra jacket on hikes or day-trips, and easy to store away afterwards. 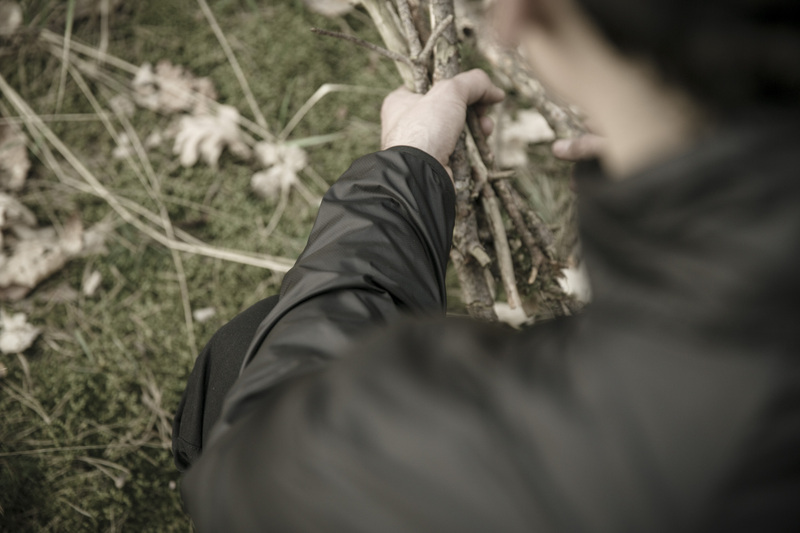 The Vapour Active Windtop Jacket is the little brother of the Vapour Active Soft Shell. 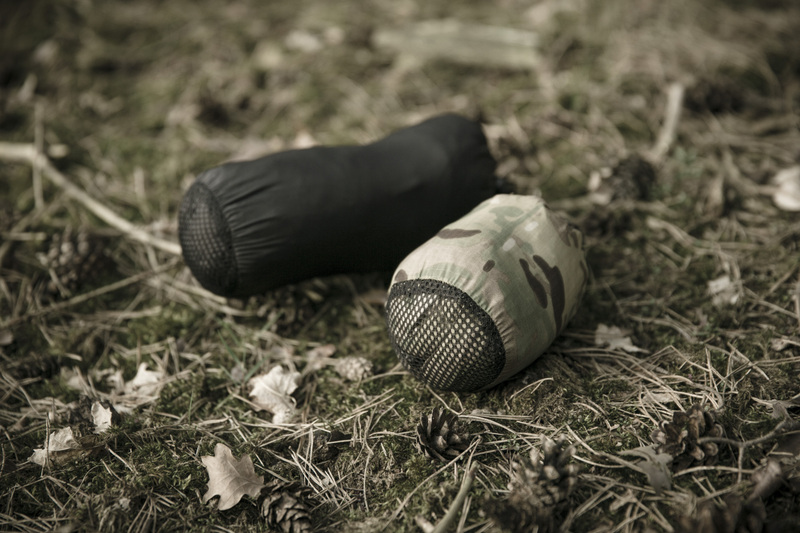 It offers all the same features as the Soft Shell except without the warm lining. At 240 grams, it’s so thin and light that you barely notice you’re wearing it. 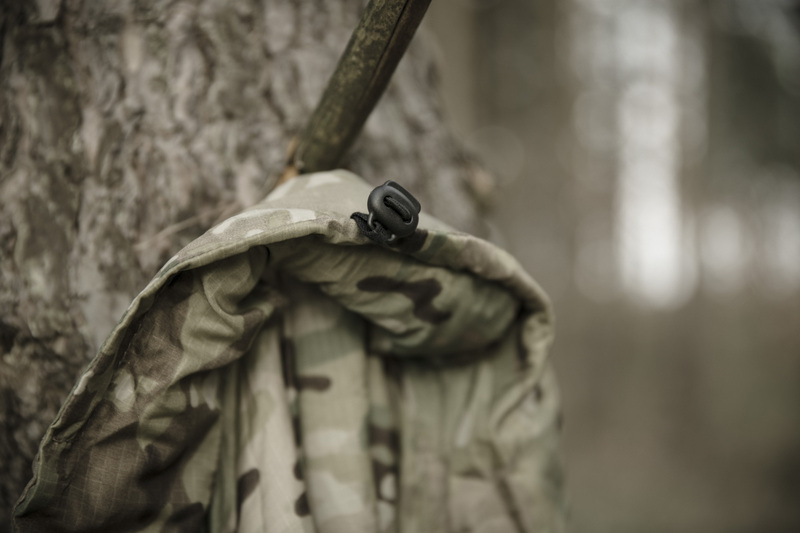 It compresses down to just 14 x 8 cm, so it will literally fit in the pocket of your pants. 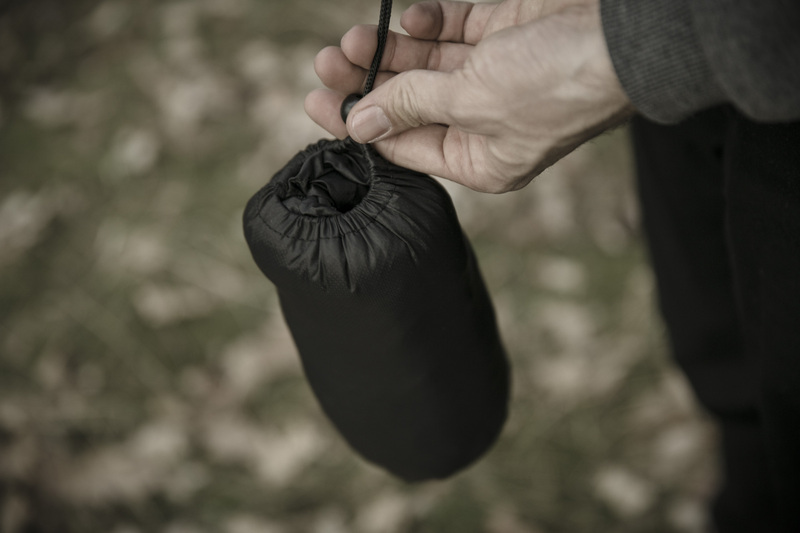 A stuff sack is also included. 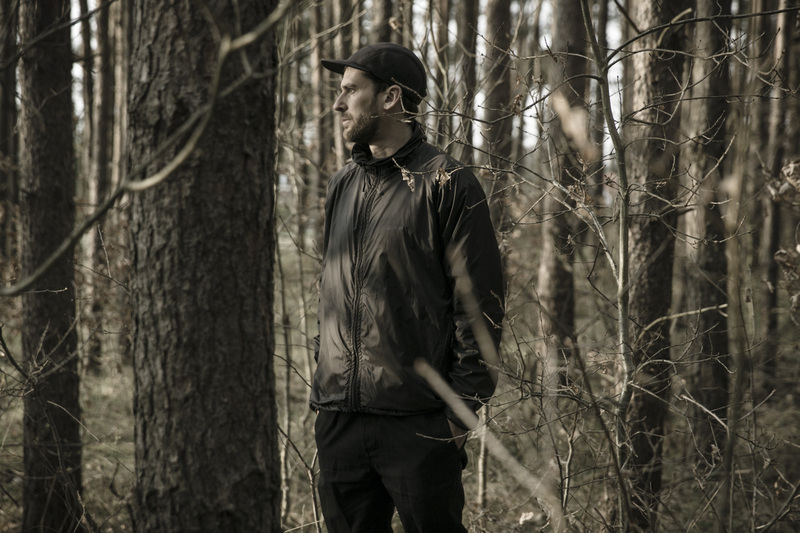 The Windtop is ideal on hikes for when you encounter a sudden drop in temperature or a light rain, or for when you take a rest break and don’t want to cool down too much. 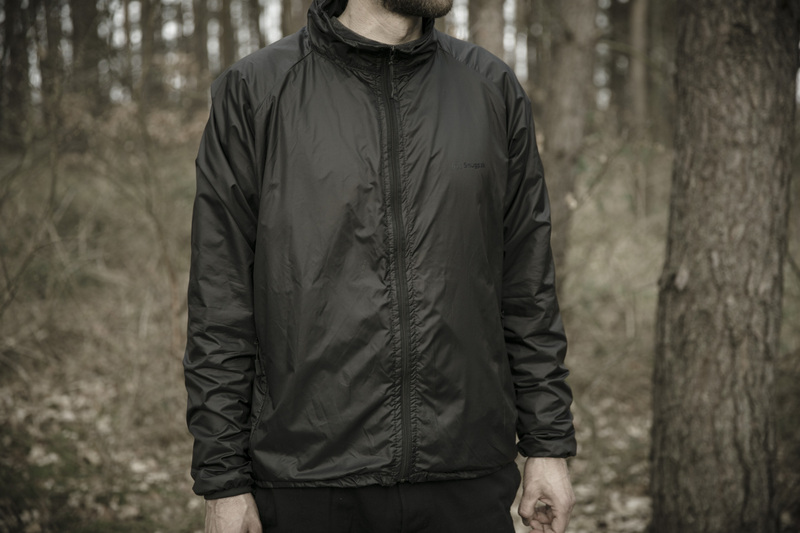 Also on bike rides, the jacket proves itself to be an excellent companion. 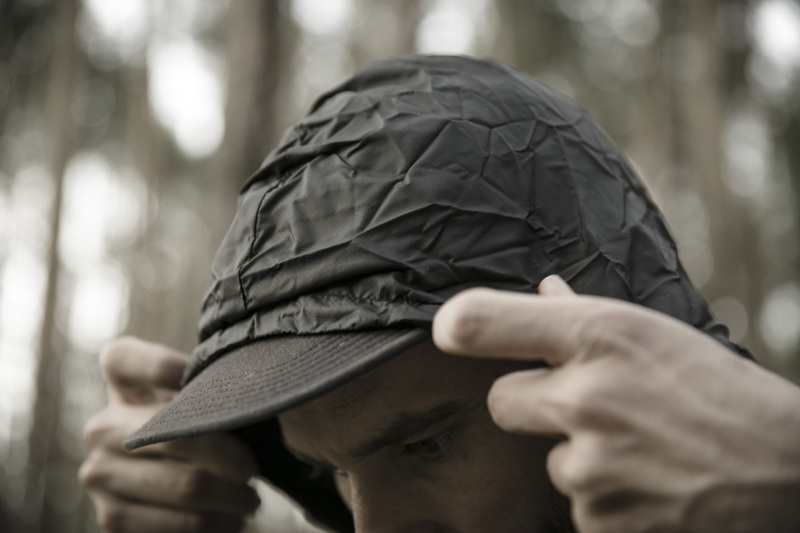 The wind-proof properties are incredibly good for such a thin material. 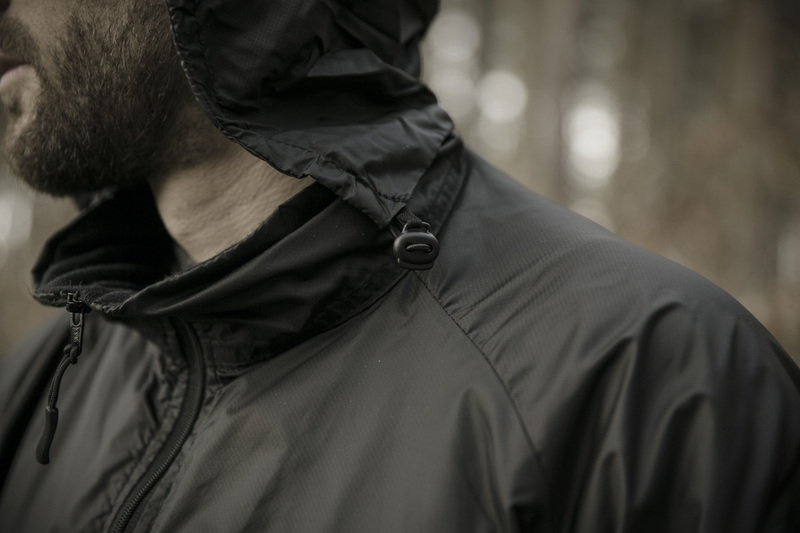 The Windtop also comes with an integrated hood and side pockets. On top of that there are two large inner pockets. 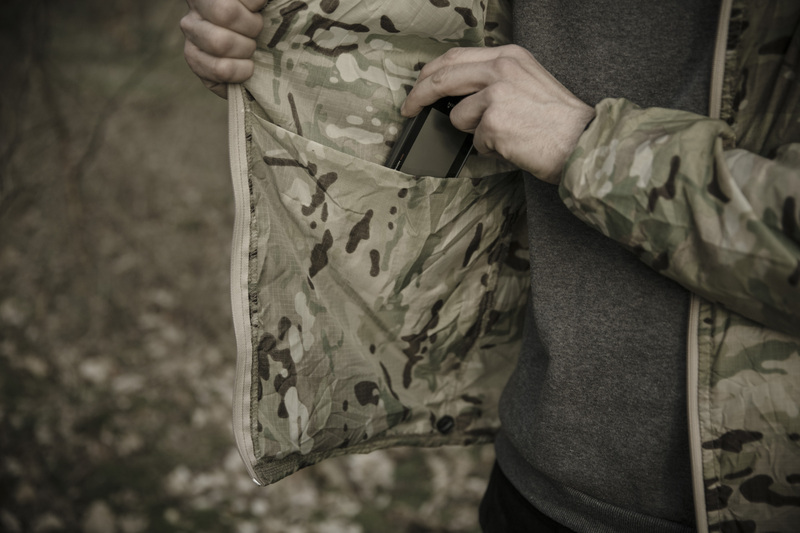 Unfortunately, due to the lightness of the material, the pockets are not as suitable for heavy things, but are large and deep enough for maps and such. 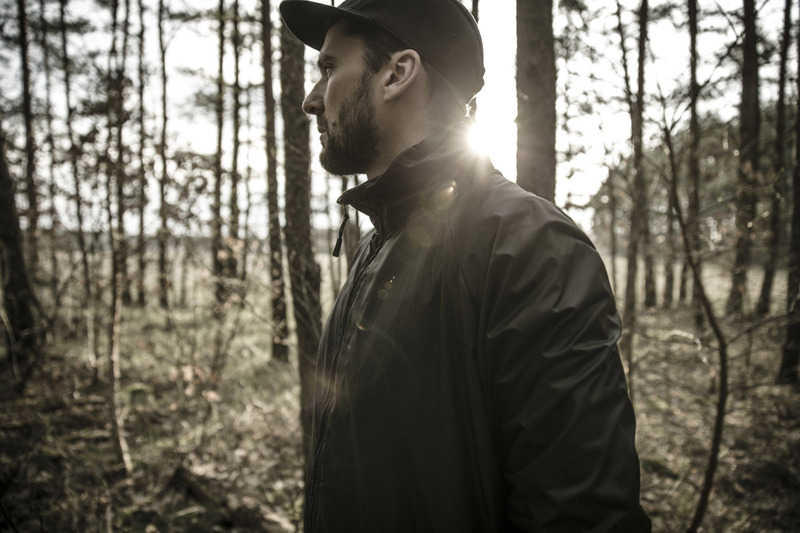 Like the Soft Shell, the Windtop also has a classic, almost sporty, cut. In the right colour, I would even call it timeless. The workmanship is of the highest quality; I could find no flaws. 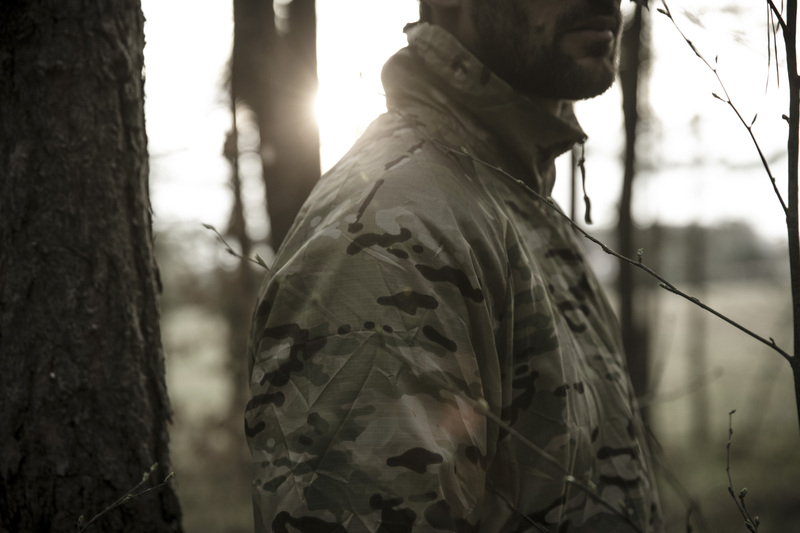 For the Windtop, I chose the Multicam® version, the real Multicam®, not one of those copies you find from other brands. But really the Vapour jackets look good in every colour and can just as comfortably be worn around the city with jeans and sneakers as in the great outdoors. 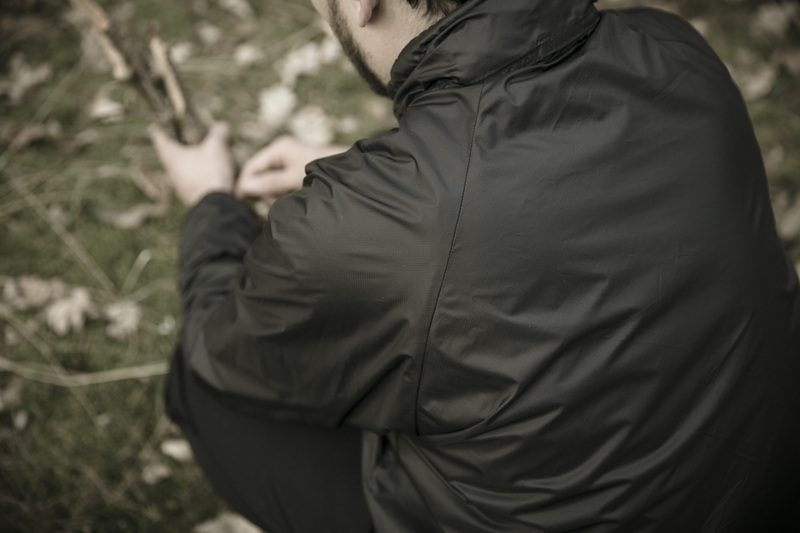 When it got unexpectedly colder on my weekend trip, I even wore both jackets together, the Windtop over the Soft Shell. This was, admittedly, not what Snugpak had intended, but it worked and meant I was doubly protected. 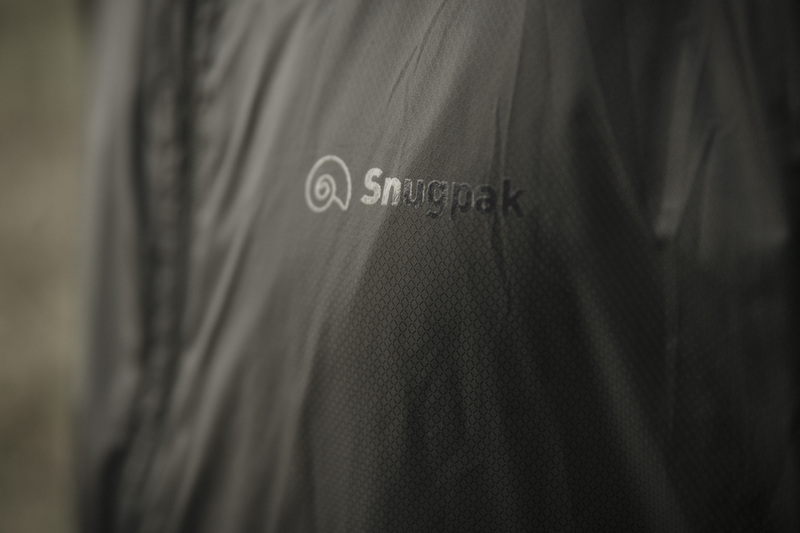 Conclusion: I’m very much impressed with the Vapour jackets from Snugpak. 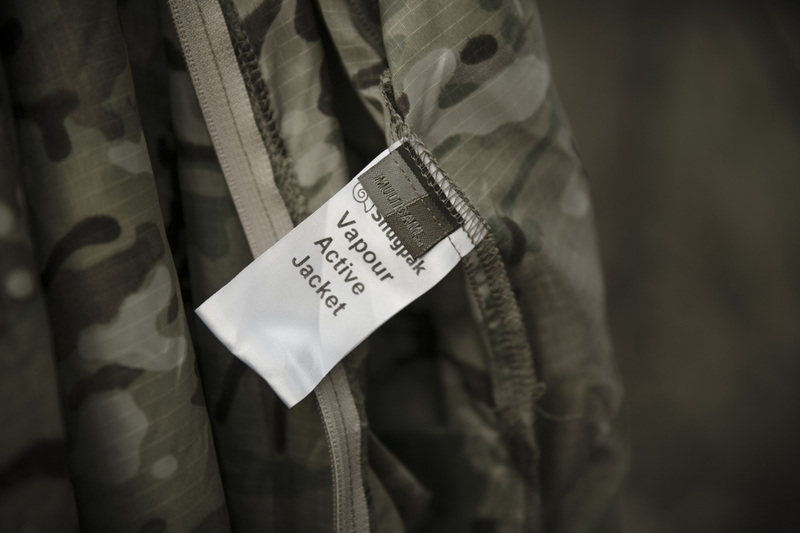 When the weather is unpredictable and there’s a sudden shower or a cold wind blows through, or simply as a back-up jacket in your backpack, the Vapour jackets are small, feather-light and utterly reliable, just as they promised.